If smiling is contagious and laughter is infectious, then why don’t more of us do it? When people laugh together, it brings them closer, and creates happiness and intimacy. 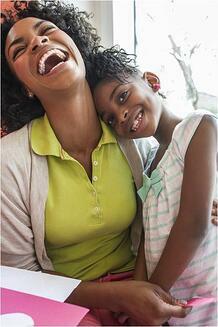 Laughter not only does these few things, but it also causes physical changes within the body. Boost Your Immune System: Laughing decreases the stress hormones and increases the immune cells and anti-bodies, improving your body’s resistance to infections and diseases. Trigger the Release of Endorphins: That natural feel-good chemical rush you get can improve your overall feeling, decrease pain, and fight off stress. Relax the Whole Body: It relieves tension and stress, allowing your muscles to stay relaxed for up to 45 minutes after that obnoxiously good belly-laugh you just had. Protect the Heart: Laughter increases blood by improving the function of blood vessels, aiding in the protection against cardiovascular problems. Humor can keep one optimistic and even one little smile can turn someone’s day around. A good laugh can bring your body back into balance. I think it is hard to resist a good laugh or smile when the person next to you is laughing in an absolute hysterical manner. A shared laugh can keep relationships fresh and exciting and build strong bonds too! In life, remember not to take yourself too seriously. Yes, some events are sad and not the right occasion for laughter, but learn to look at the positive side of the event. Laughter is priceless, fun, and easy to use! 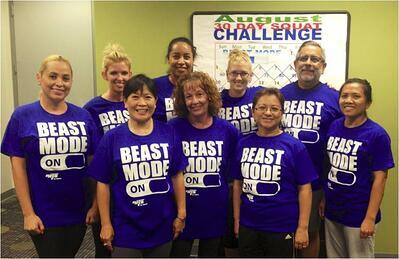 If you need a good laugh, I am sure one of our Corporate Fitness staff members could crack a joke or two! Laugh on, my friend - it’s good for the soul. The holidays are right around the corner and what better way to spread holiday cheer than to volunteer! Fall sports are starting to wind down with the winter rolling in, big projects at work are wrapping up, and schedules start to open up for new activities to fill in. The holidays are the perfect time to sign the family up for a volunteer day to share some of your good wealth. 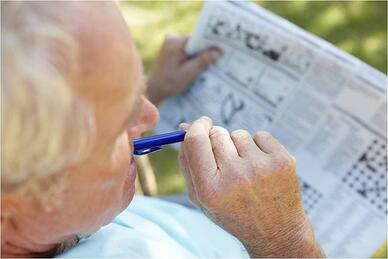 Helping out in your community- The joy of winter means cold weather and most likely a good amount of snow. Show someone you care by offering to shovel their driveway or sidewalk. Or, invite your neighbors over for a warm meal and not only share a meal, but share conversation. Serve from home- With all of the do-it-yourself projects out there, there’s plenty of ways to get creative in your home! Organize a volunteer group to create holiday bags for a local shelter or senior living community or even your neighborhood. Visit a local animal shelter- Animals need attention during the holidays as well. Colder weather makes it harder to take animals outside to play; why not visit your local animal shelter and offer to donate your time playing with animals or helping out around the office? If you have the resources, consider fostering an animal in need. Give back to veterans and military families- If you know a family, offer to bring over a meal or snacks over the weekend. Offer to give the family a break and carpool to school or invite the family over for some fun at your house. Places like the Salvation Army, local homeless shelters, and the American Red Cross are always searching for help around the holidays and year round. Never volunteered before? Try one of the 4 ways above and go from there! All it takes is one small act of kindness to change someone’s day! Other ways you can do good and initiate a great family tradition is to let the kids choose an angel from a giving tree, donate to your local coats for kids, or work in a soup kitchen. There are many ways to do good during the season. Share with us how your family spreads joy to others, comment below and tell us your family traditions during the season of giving. According to the National Cancer Institute, regarding families who are known to carry BRCA1 or BRCA2, “not every woman in such families carries a harmful BRCA1 or BRCA2 mutation, and not every cancer in such families is linked to a harmful mutation in one of these genes. Furthermore, not every woman who has a harmful BRCA1 or BRCA2 mutation will develop breast and/or ovarian cancer. But, a woman who has inherited a harmful mutation in BRCA1 or BRCA2 is about five times more likely to develop breast cancer than a woman who does not have such a mutation.” For people who discover they have the harmful mutation, there are various proactive measures that can be done to reduce risk. 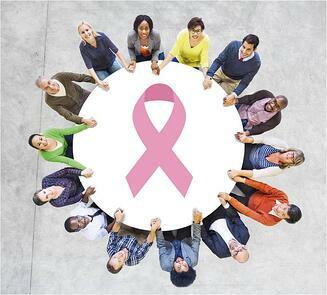 These include taking a hormonal therapy called Tamoxifen or deciding to take a surgical prevention approach which is to have bilateral prophylactic mastectomies, usually done with reconstruction. Most women will also have ovaries and fallopian tubes removed as well since there is no reliable screening test for the early stages of developing ovarian cancer. To throw in a little corporate fitness your way, exercise boosts the immune system and helps you to keep your weight in check. With as little as three hours of exercise per week, or about 30 minutes a day, a woman can start to lower her risk of breast cancer. This doesn’t mean you need a gym membership to start. Power walking is more than sufficient! Click here for more information about this topic or to continuing supporting the cause year round. Have you ever woken up and felt like you never slept at all and could hibernate for weeks upon weeks? You know, it’s similar to that back-to-work Monday feeling. The average person spends one third of their life sleeping, so it may be good to consider your bed posture being as important as your daily posture. Your bed, sleeping position, and use of pillows are key to more than one night of good sleep. Starting off with your bed, mattresses come in all sizes, designs, and firmness. They say the more firm the better. A firmer bed will provide your back with more support and has the ability to keep your spine in better alignment. A mattress’s life span is about 8-10 years and can range anywhere from $800 for a queen to about $1000 for a king size bed. Go big or go home I guess, right? The bigger the bed, the more room to switch up your sleeping positions from starfish to the fetal position. Kidding! Find a mattress that fits your budget, but remember that it has a huge role in how well you sleep! Secondly, the type of pillow you lay your head on at the end of a long day or for a quick power nap can change your bed posture and result in a terrible night of sleep. Depending on your neck depth, you’ll need to find a pillow that fits it. Yes, everyone has a different neck depth. Your sleeping position also affects the type of pillow you need. If you're a back sleeper, you'll need a pillow that fills the space between your neck and bed, but not too high because you don’t want to be able to see your feet. The side sleepers should find a pillow that fills the space between their ear and bed. You may find that this pillow needs to be thicker than the ones for sleeping on your back. For all you stomach sleepers, your pillow should be quite thin and only thick enough to level your head while sleeping. This pillow should only fill the space between your head and mattress. 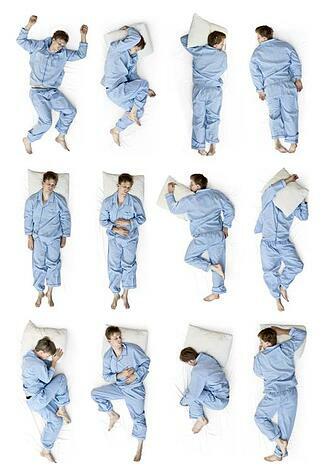 There are several ways to modify your pillow to fit your sleeping position. You can add towels or foam to fill thickness and trim foam or remove padding to make it thinner. Lastly and more importantly is your sleeping position. The pressure on your back varies to the position you sleep in. The position with the least amount of back pressure is lying on your back and then your side. The worst and most stressful sleeping position is on your stomach. If you sleep on your back or stomach, it is recommended you place a pillow under your knees as well and if you sleep on your side, place a pillow between your knees. Who knew there were so many tips and tricks to a smooth sailing night of sleep? I know I didn’t! No matter how you choose to sleep, just be sure to keep that spine in alignment. If your body has trouble adjusting and needs some stretching to loosen up, stop by your corporate fitness center and ask a Health Fitness Specialist for recommended stretches! Working to build your corporate fitness program and need a little help? Click below to download our guide to successful corporate fitness centers to get the tools you need for successs.